I caught myself so often thinking, "Ooh! I need to blog about this! Where's the camera?" My camera now has a permanent place in my work bag so I can catch all of those moments I've been ooh-ing and aah-ing about. :) I also have several 7 Habits updates I need to share with you. Going through all of the training to become a Leader in Me School has been overwhelming at times, but I know it will be worth it! I love, love, love the church we've found here. I ran into one of our worship leaders a couple of weeks ago, and was telling him how much it meant to me to have a church "home" again and he just smiled and said, "There's something special about that place, isn't there?" :) So true! I'm hoping to join a community group and hopefully volunteer in our church nursery as well. I'm also looking forward to starting Jesus Calling (thank you, Bren!). I think this will be the perfect way to start my mornings. The Kindle version is only $1.99 right now! In addition, I'm joining Angela in a Bible Study just for teachers. There's still time to join us - click on over! I've been in a "desert" for several years, but my faith has come through an amazing renewal and I am thirsty for Him. Well, now that I've gotten all personal on you I hope you'll take the plunge too! 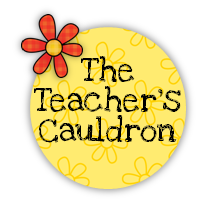 Make sure you grab the button above and link up with Jen at The Teacher's Cauldron! 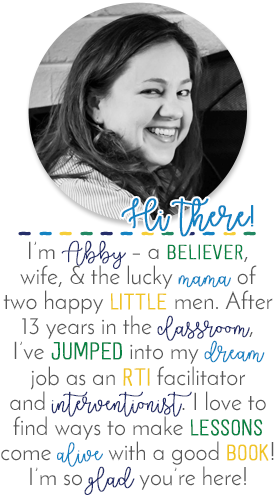 Thanks for Linking up, Abby! what a great personal goal!! Your blog is adorable. 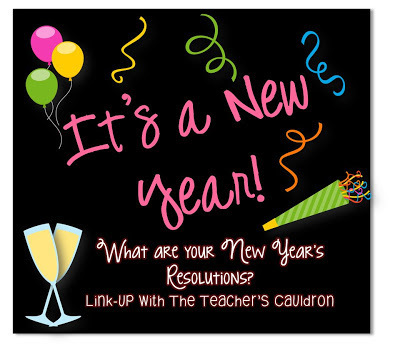 Best wishes on the 2013 resolutions! I need to take more pics too... maybe it's because we switch kids and I don't have my "core group" all day, but I take WAY less pictures this year! That's a good point. I don't know about you, but I always feel so rushed to pack it all in - Reader's Workshop, Writer's Workshop and Grammar/Spelling time. There are so many good things about departmentalizing, but after 6 or 7 years there are a lot of things I'm starting to miss. My resolution is to take more photos of my family "in the moment". Thanks for sharing about your personal resolutions. I am participating in the bible study with Angela too. I'm excited about this! Yay! I'm looking forward to starting it later this week! Thanks for sharing your spiritual goals! I have been wanting to read Jesus Calling and now that it is under $2 I am getting it on my Kindle :) Glad to find other bloggers who are serious about their faith! 12 in 12 Linky Party... and ANOTHER FREEBIE! A Christmas Freebie and a Nook Color HD Giveaway! Currently, 12 Days of Christmas and a Giveaway!